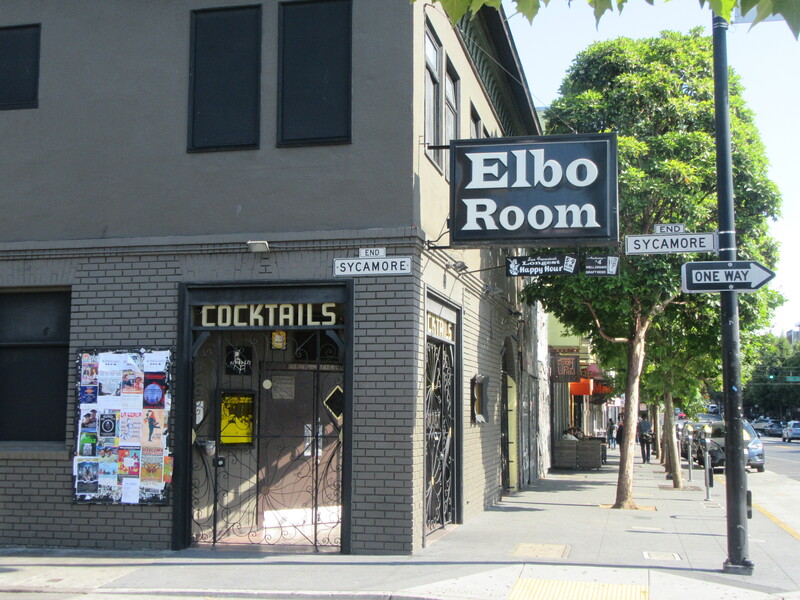 The Elbo Room building hit the market Monday for $4.2 million, spurring what has now become a common refrain: Is this the end of Elbo Room? “This could be a great chance for an owner to have a great return on their investment,” according to the marketing materials. Indeed, the owners, Susan and Dennis Ring, have owned the building since 1991, and in 2014 decided to entitle the property, which now allows a developer to erect a five-story, seven-unit condo building with four parking spaces. In other words, the site is plug-and-play for any would-be developer. Back in 2014, however, that is not what Susan Ring told community members. Their plans then: Move into one of the condos. “This is part of our vision for ourselves, for my husband and I to spend the rest of our days,” Susan Ring told community members in November 2014, when she and her husband, Dennis Ring, presented their plans for the site. Mission Local revealed in February that the Rings have repeatedly evicted tenants from their properties by moving into the units, and then subsequently flipped the properties. All told, the Rings have evicted tenants on at least four separate occasions to turn a profit. With the Elbo Room plans, the Rings placated community criticism by saying they wanted to retire in one of the condos they planned to build on Valencia. Now, it turns out, they were only turning the building into a development opportunity. “We don’t have any comment,” Susan Ring told Mission Local on Tuesday. Ring, a real estate agent, is also the broker for the property. Some experts, however, believe that the Rings could have a difficult time selling the property with its current $4.2 million price tag — citing high construction, capital, and carrying costs. This is the latest in a long saga with the Rings and Elbo Room that began with Dennis Ring founding the popular bar on the corner of Valencia and Sycamore in the 1990s. Don’t go asking our supervisor Ronen for help. I tried and there’s no interest in doing anything to abate the pressure from profit seeking investors at the expense of existing residents or businesses (like the Elbo Room).The planning departrment staff is incented to sustain the incredibly heavy administrative burden on everyone (whether you try to do something or try to appeal it) and is more concerned with their own future careers as “preservationists”, and ultimately the planning commission, which is another group of unelected real estate cronies, makes sure the profit potential is maximized instead of taking actual neighborhood concerns into consideration. I’m utterly disgusted by the whole thing and I am NOT surprised. This city is for sale to the highest bidder, even if that means displacing residents and businesses. This is great news. That location is fantastic and would be a great place to live. And Kudos to the Rings for taking the gamble nearly 30 years ago! Good business move and happy to see it work out! this is an incorrect response.